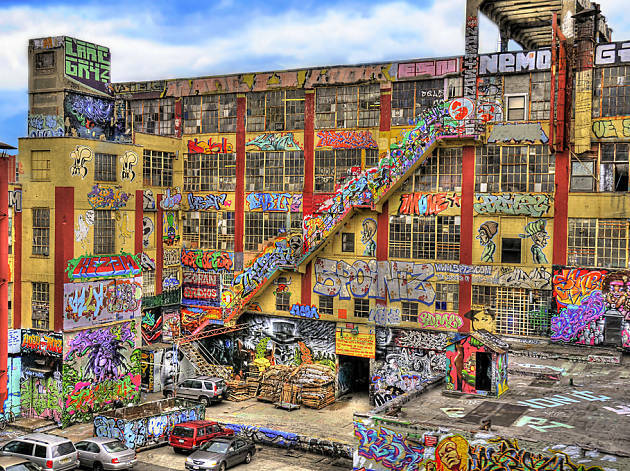 In February, 21 artists who contributed 45 works to the legendary Queens graffiti complex 5Pointz won a landmark lawsuit. A federal judge ruled that the building’s owners, Jerry Wockoff and G&M Realty, had to pay the artists a combined $6.7 million for infamously whitewashing their works overnight in 2013. Now, with a pair of new residential buildings under construction where the graffiti haven once stood, the area is causing a whole new run of controversy. Wockoff’s company, G&M Realty, has branded the new towers 5Pointz Rentals, an appropriation of the monicker given to the original outdoor art space by artist Johnathan Cohen back in 2002. 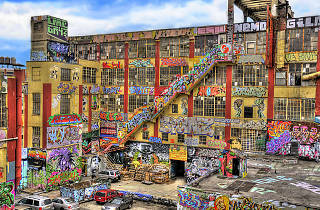 G&M established a website, 5PointzTowers.com, which includes renderings of the in-the-works development. The move has sparked an online petition, which was formed by longtime 5Pointz artist advocate Marie Cecile Flageul, to call for Wockoff to drop the name. The name 5Pointz, Flageul and advocates argue, is already trademarked under a nonprofit set up by Cohen and other artists. But Wockoff completely disagrees with that assessment. Not only does he say that he had a hand in naming his new towers 5Pointz but that he has every right to name the new towers after the street art mecca of yore. Wockoff expects the new buildings to be open by summer of 2019 and has no intention of changing the name before then. He did say, however, that he intends to bring street art back to the new development, with or without the original artists. Wockoff said he has not spoken to any of those artists since the court case ended in February. Still, Flageul and company are pushing ahead with their petition to try to convince Wockoff to change the name. Whether or not the petition has any affect—or another lawsuit against Wockoff is filed—remains to be seen. But in the meantime, the drama around the space does not look like it will subside anytime soon.